วันศุกร์ที่ 23 ธันวาคม 2016 เวลา 08:28 น. 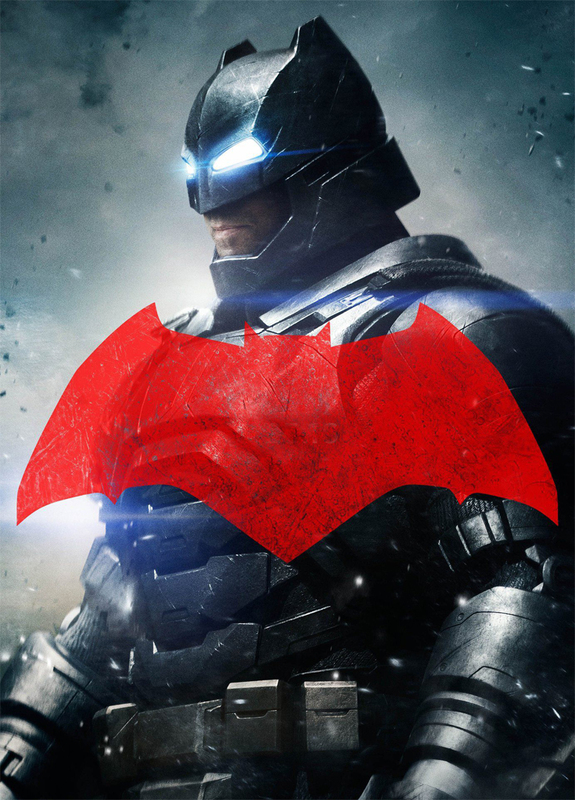 Following the boomtube opening and letting Parademons through, a series of strange abductions occurred in Gotham City, with video footage suggesting that Batman, a wanted costumed vigilante, is behind the incidents. 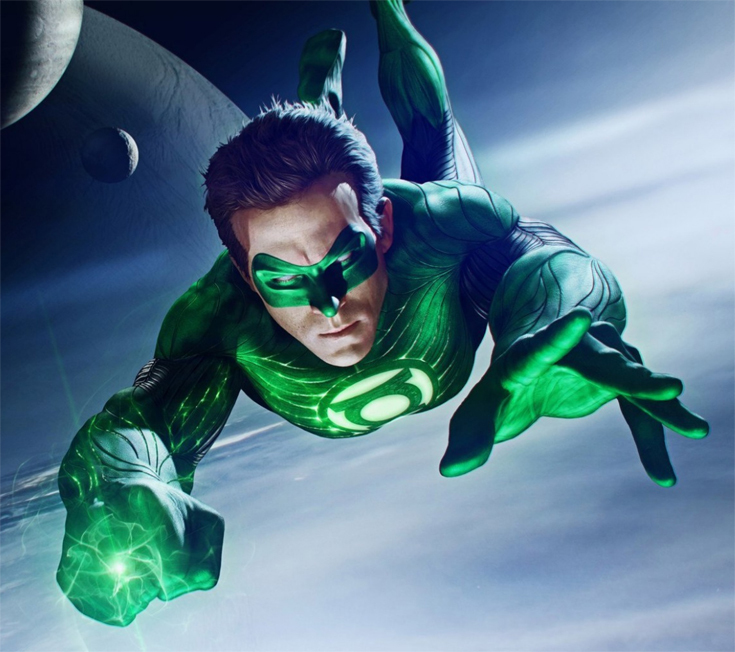 When a mysterious cloaked kidnapper abducts a woman, Green Lantern (Hal Jordan) arrives to confront the kidnapper and saves the woman when she is dropped from above. Green Lantern then attacks the kidnapper revealing it to be a monstrous Parademon. As the hero is about to get killed, Batman appears and saves Green Lantern from the rooftop. The Parademon resumes its position and attacks both heroes. They escape from the GCPD and chase the Parademon into the sewers, where it charges a Mother Box, and then it explodes. Batman and Green Lantern check the Box, and deducing it to be alien origin, decide to seek Superman for answer. Another Mother Box is being studied at S.T.A.R. Labs, supplied by The Flash (Barry Allen). Silas Stone, father of Vic Stone, ignores going to his son’s football game so he can study the Box. Arriving in Metropolis, Batman and Green Lantern end up fighting Superman (who has fought a Parademon previously) and confuses the heroes for working with it. The battle spreads over a portion of the city, but it finally stops when Batman calls the Man of Steel “Clark Kent”. Superman, in return, reveals that he knew Batman's secret as Bruce Wayne, and confirms that they are correct but not of Kryptonian origins. On the alien world Apokolips, Darkseid orders Desaad to begin invasion on Earth. Vic arrives at S.T.A.R. Labs and has an argument with his father, who believes that football has no importance in a world that is changing with the appearance of metahumans. At the Daily Planet, Superman, Batman, and Green Lantern realize the invasion, just as the Box activates and several Boom Tubes appear throughout the world, including S.T.A.R. Labs. An explosion fatally wounding and embedding the Box’ technology into Vic, forcing S.T.A.R. Lab taking Vic to an emergency room in order to save him. Silas loads Vic into a hi-tech medical bed, connecting his son with various technologies. Countless number of Parademons starts to appear around the world, attacking everyone on sight. The Box’ technology ends up connected into Vic and the labs' equipment, transforming Vic into a cyborg. Just as the Flash arrives to save the scientists, Cyborg’s systems reveal details on Apokolips, Darkseid, and the invasion plan. At his foster home, Billy Batson spots a Parademon outside and turns into the superhero Shazam. Air Force One is attacked in the air only to be saved by the Amazon princess, Wonder Woman (Diana Prince) and Superman. 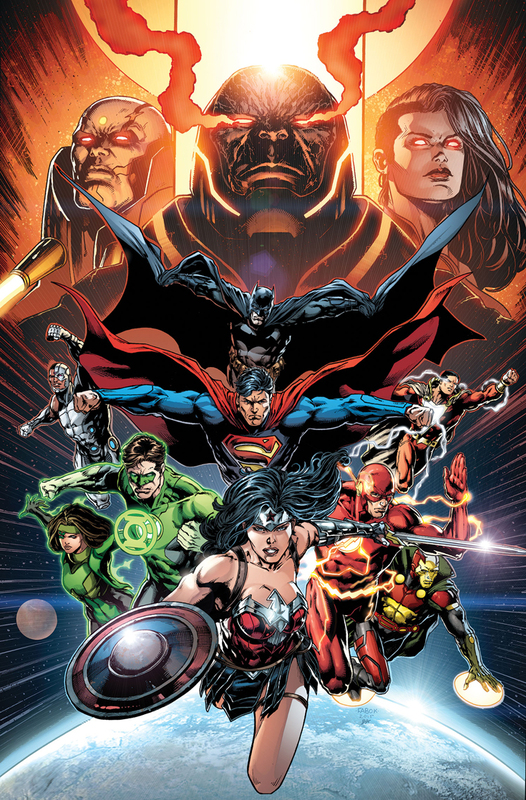 After the heroes gather, as Cyborg reveals that the invasion is a set up to terraforming the Earth, Darkseid arrives and proves to be a powerful opponent who defeats the heroes effortlessly. Superman gets captured and Batman stops Green Lantern and convinces him to help the heroes work together after he unmasked himself. Wayne then gets himself captured in order to save Superman. Green Lantern, acting as a leader, gets everyone together and decides to defeat Darkseid they must disable his eyes first, preventing him from using his Omega Beams. Batman arrives in Apokolips and stops Desaad from turning Superman into a Parademon, but Superman goes on a rampage afterwards. Back on Earth, after successfully disable Darkseid, Cyborg connects with the Mother Box to reopen the Boom Tubes to send the tyrant and his army back to their home world. 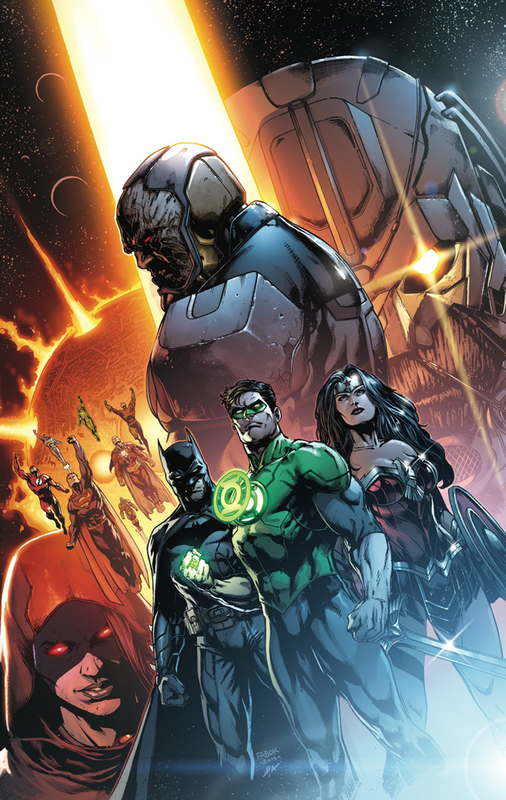 Though the Parademons are gone, but Darkseid remains, and after Superman and Batman arrive and take a combined effort to force the tyrant into the portal before it closes. With the world is saved, the once-discriminated superheroes are honored at the White House. 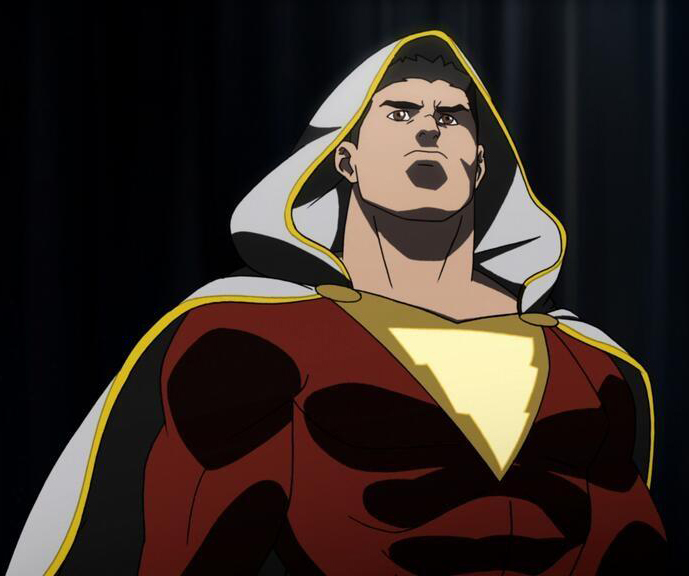 Grateful to have met others like themselves but debating if they should be a team if a similar threat happens again, the President asks if they have a name, to which the heroes are annoyed when Shazam suggests the “Super 7”. Justice League (film) is a 2017 American superhero film based on the DC Comics superhero team of the same name, distributed by Warner Bros. Pictures. 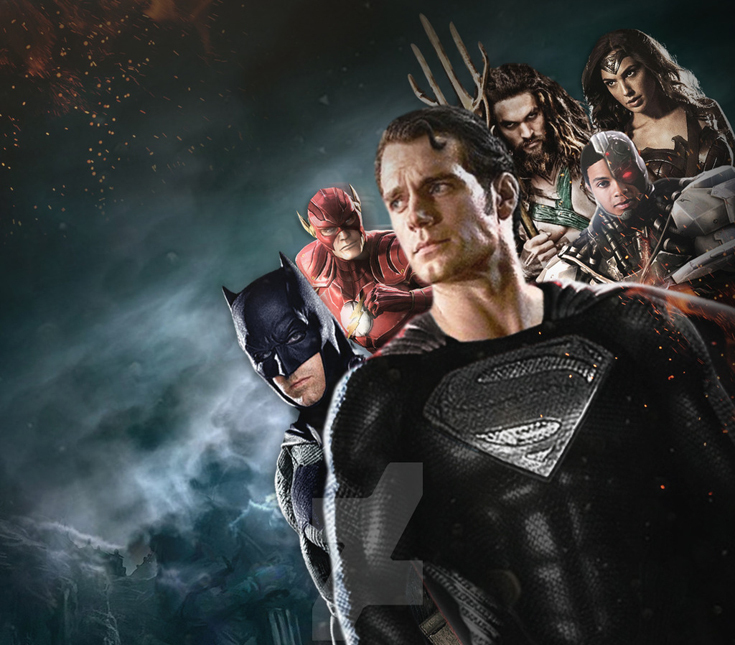 It is intended to be the fifth installment in the DC Extended Universe. 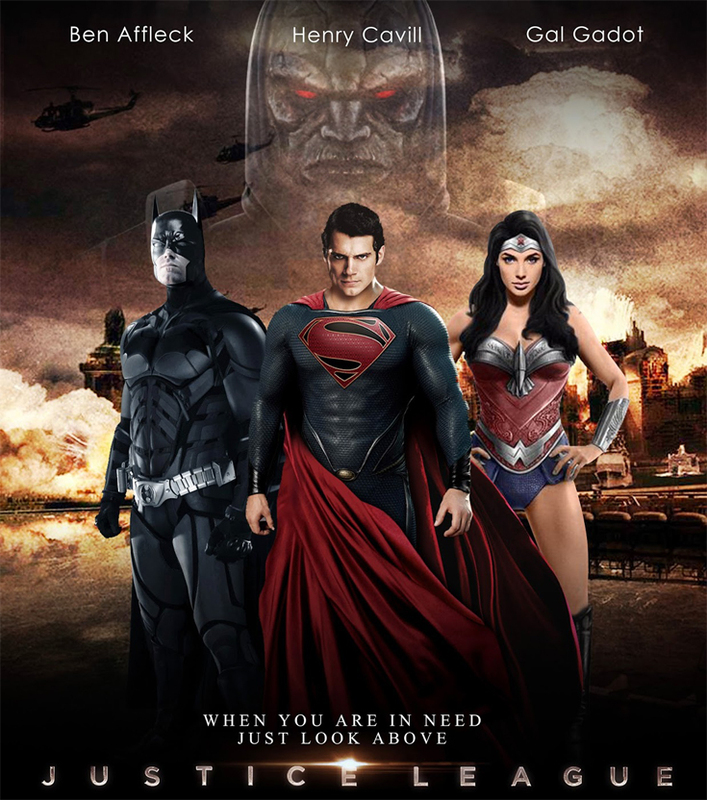 The film is directed by Zack Snyder, with a screenplay by Chris Terrio, from a story by Snyder and Terrio, and features an ensemble cast that includes Ben Affleck, Henry Cavill, Gal Gadot, Ezra Miller, Jason Momoa, Ray Fisher, and Ciarán Hinds. 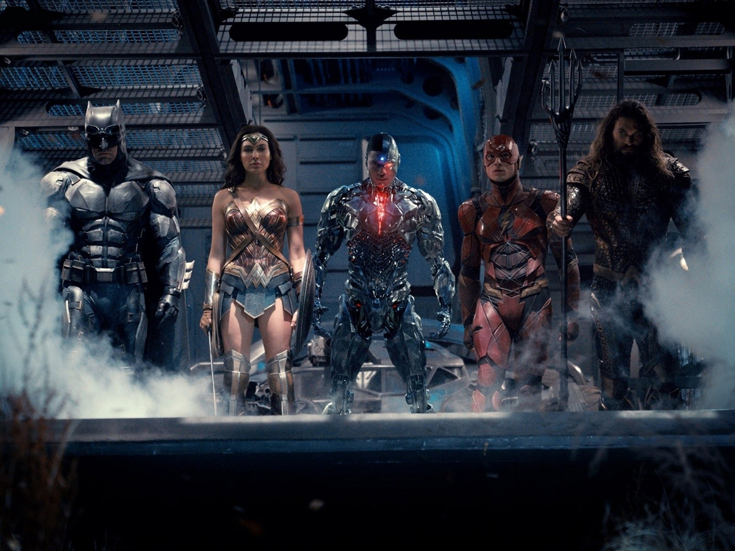 In Justice League, Batman and Wonder Woman assemble a team consisting of The Flash, Aquaman, Cyborg and the newly resurrected Superman to face the catastrophic threat of Steppenwolf and his army of Parademons. 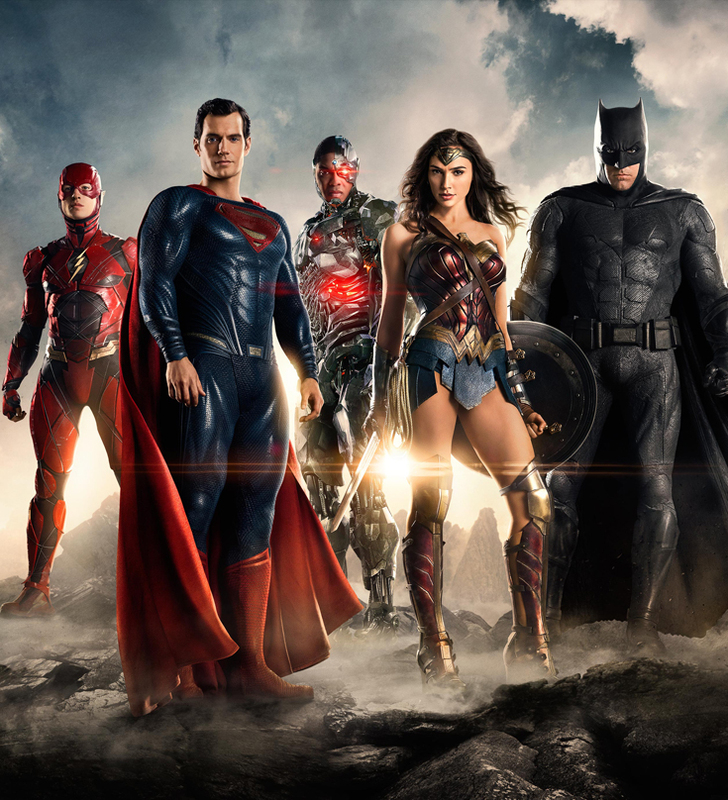 Who is the Most Powerful Member of the Justice League? DC recently released their Dawn of Justice special on the CW, giving hints as to how they will bring the Justice League to life on the big screen. While we are waiting to see what that will look like, I thought it would be fun to attempt to rank the members of the Justice League based on their power. Obviously this is not easy to do, given the fact that there are many variations of each of their abilities and many variables to consider. For this ranking, we will consider Superman, Batman, Wonder Woman, Green Lantern, Flash, Aquaman, Cyborg, and Martian Manhunter as members of the Justice League. This one is very controversial. Batman is a very intelligent, agile, and strong individual. Despite not having any powers of his own, he successfully fights villains with superpowers and is one of the most iconic superheroes in the DC Universe. He is also (in my opinion) the most fun hero, because he is so down to Earth. Unfortunately, he does lack superpowers, and therefore, is the least powerful member of the Justice League. Batman is very powerful in the sense that he is an excellent hand to hand fighter and has a bunch of technology that he uses such as the bat car and the bat plane, all of which allow him to fight heroes with power...However some of those fights often overplay Batman's abilities. He wins some fights and avoids dying in others that he really shouldn't be able to do (I mean it is fiction, but still). While some of the other members of the Justice League are too often downplayed, Batman is too often overplayed. Don't get me wrong, he is still the most fun member of the League (in my opinion at least). But based strictly on his abilities, we rank him at the bottom of the food chain in terms of power. Maybe the movies will prove me wrong. Victor Stone was badly injured in a tragic accident, but was saved by technology that his father used on him. The technology now preserves his life and allows him to communicate with the cyber world, allowing him to add a whole new dimension to the Justice League. He has the brain of both a human and a cyborg. He also has super strength, a very advanced sensor system, and a lot of durability due to the steel that reinforces his bones. In addition, he has a genius level intellect. 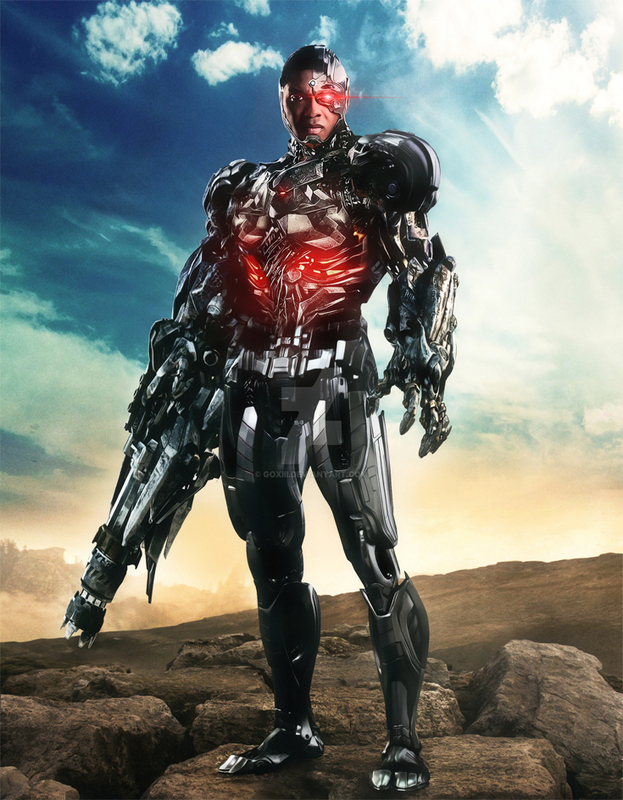 In terms of weaknesses, a major theme with Cyborg is his struggle to remain human. While I admittedly am not as knowledgeable with Cyborg, as I am with the others, I imagine that objects that are generally bad for computers would be bad for him - water, magnets, electric charges, etc. So I am not too certain as to whether or not these would be weaknesses that DC would look to explore. But we decided to rank him as #7, primarily because we feel that the heroes following him would be much more powerful than him, however, the movies could prove this wrong. He is still a powerful character and as was mentioned earlier, adds a whole new dimension to the Justice League - an exploration of the digital world. Aquaman is sometimes considered to be the joke of the Justice League, but actually does have some really cool powers. He has superhuman strength (they all basically have that), he can breathe under water and live there. He has super vision, hearing, smell, reflexes, and durability. He also has marine telepathy, which allows him to communicate with sea life and command them to do whatever he wants. Basically he has an entire army at his disposal. In different comics, he had magical powers, and the ability to control water. 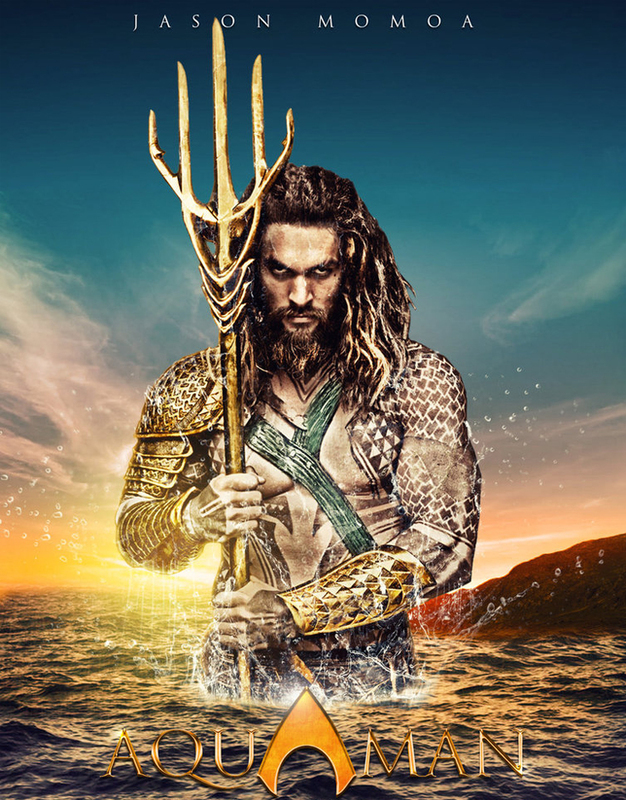 He is also considered the king of Atlantis which has a truckload of advanced technology, oh and another army - the army of Atlantis. He has a tremendous amount of resources and assets in addition to his super abilities. In terms of weaknesses, Aquaman does not appear to have many. In some instances, he struggles inland when he has been away from water too long. In a lot of comics, he is not as powerful online as he is in the water. So a lot of his abilities are not as effective on land. That is not always the case - there is some variation with this. This is one of the turnoffs with Aquaman. He is also sometimes used for comic relief in the comic world. But DC is hoping to change that in their movies and make him more of a serious character. They might make him function more on land or try to mirror the Justice League cartoon series and make him a much more intense character. 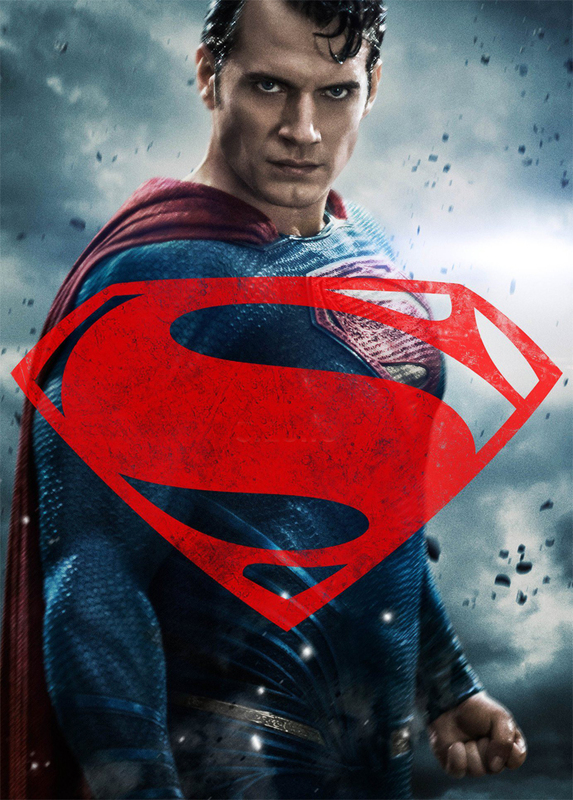 We rank him as the 6th most powerful member of the Justice League based on how he has been portrayed in the past. But that may be subject to change when the movies come out. 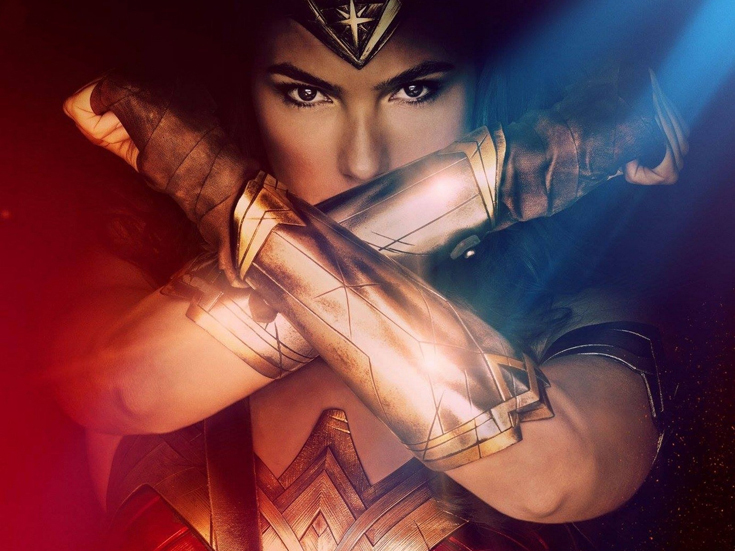 Wonder Woman is a feminist icon and one of DC's most iconic heroes, but her powers are somewhat confusing. In some comics, she can fly, has strength that is comparable with Superman's strength. In other comics, she is portrayed as being more of a sword fighter with super strength that isn't exactly on par with Superman, can't fly but uses an invisible plane, has a magic lasso that can force people to tell the truth, has speed in the sense that she can block bullets with her bracelets, and has some degree of resistance to injury (again, not on par with Superman). It is unclear how they will portray her in the movie, but right now it appears they are opting for the latter. She will likely be a great fighter that uses a sword, shield, bullet blocking bracelets, and magical lasso. She will also have great strength, but be a step below Superman. And she will probably not be able to fly (based on what we have seen so far). She does not have any major weaknesses like Superman has Kryptonite. But she is human, so there are some things such as bullets that could kill or injure her. However, considering her tremendous speed and awesome bracelets, that won't likely be happening. Basically she doesn't have any major weaknesses. Even if that ends up being how she is portrayed in the movie, she will still be extremely powerful and amazing. So as far as we know, Martian Manhunter will not appear in any of the new DC movies. But he should. He has superhuman strength, the ability to fly, shape shifting abilities, invisibility, telepathy, 9 different senses, the ability to phase through solid objects, and in some cases telekinesis. Imagine being able to read your enemies' minds and being able to get inside their head and manipulate their thoughts. He can not only manipulate their thoughts, but he can also manipulate their realities by changing shape and turning into different objects. By making himself invisible, he can also attack his enemies without them seeing it coming. And by making himself phase through objects, he is literally untouchable. All of this makes him a very manipulative character. Fortunately he has a good heart and is on the side of justice. Unfortunately, Martian Manhunter does have his flaws. He is similar to Superman in the sense that he has a kryptonite of his own - fire. In addition, while, he can handle a tremendous amount of blunt force, he is not invincible. He can get injured or knocked out by electric shocks, or other powerful technologies. Ultimately, he is a fascinating character. He is very powerful, and we hope that DC eventually adds him into their Justice League movies, if not at the beginning, than at some point later on. Superman is very powerful. He is widely considered to be one of the most powerful superheroes in not just the Justice League and the DC Universe, but also of all superheroes ever created. 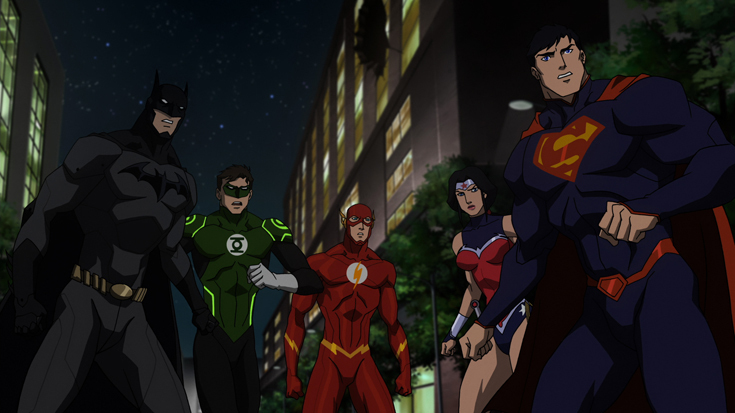 He is also generally the leader of the Justice League, and has the unique role of being the muscle of the League. He has super strength (and is generally considered to be the strongest superhero in the DC Universe), he has laser vision, X-Ray vision, freeze breath, the ability to fly, the ability to move at superspeeds (which has changed over time, and now he can fly fast, but not necessarily run fast), in some versions of the comics he has been able to release the energy he's absorbed from the sun, super hearing, and is virtually invincible - able to withstand bullets, lasers, Darksied's omega beams, and much more. Of course, he is not a 100% invincible. Superman has a big problem - Kryptonite. He is very useless when he is exposed to kryptonite and that's a big problem for us. This weakness, countered a lot of his strengths for us when weighing who was the most powerful member of the Justice League. His dependence on the sun's radiation can also weaken his abilities when he travels to different areas in space as well as different dimensions and timelines. He can also become weaker when exposed to a red sun, magic, and lead blocks his X-Ray vision. The Green Lantern is a character that is often overlooked. He is one of thousands of individuals that protect the universe from harm. They do with a ring that reacts to willpower. He can do almost anything he wants with his ring, so long as he has the concentration and willpower to do it. Generally he is unable to bring people back to life, manipulate time, hypnotize people, and is not an immortal. However, he has had all those powers and characteristics from time to time. It is important to note that he is usually not seen with those powers. He is generally able to fly at superspeeds, shoot laser beams at the speed of light, and create constructs based on his willpower. He can also lift extraordinary amounts of weight with very little effort and create shields that have saved the Justice League on multiple occasions. His powers are extremely broad and almost unlimited, but he does have a handful of weaknesses. First, his powers stem from his ability to concentrate and use his willpower. If his concentration, than he is pretty vulnerable. In some comics, Green Lantern's weakness is yellow. He can't control yellow objects, which is a kryptonite of sorts for him. He can also be subject to mind control, and if the user is susceptible to drug use, they may become unable to use their ring. The ring can also glitch up when exposed to certain types of vibration. Perhaps his most significant weakness (which is not shown enough), is the fact that his ring runs out of juice and he needs to recharge it often. 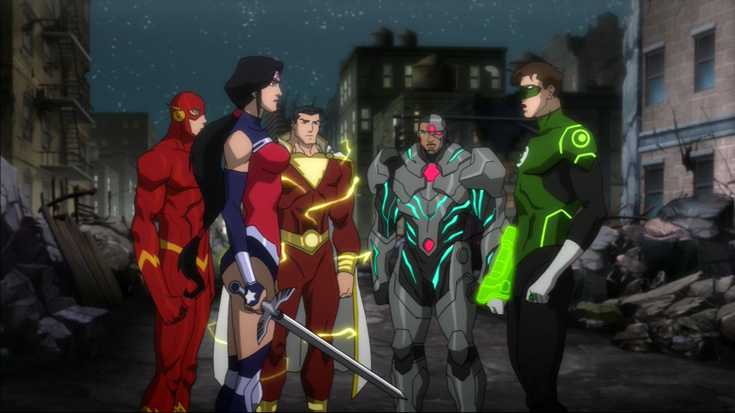 Overall, the Green Lantern is one of the most powerful members of the Justice League. He is extremely powerful and has such few vulnerabilities, that he is worthy of being No. 1 on this list. It was a very very close call, but we put him as No. 2 largely because of the fact that his powers are dependent upon a ring and the fact that the ring runs out of power. Lets face it, the Flash is underrated. 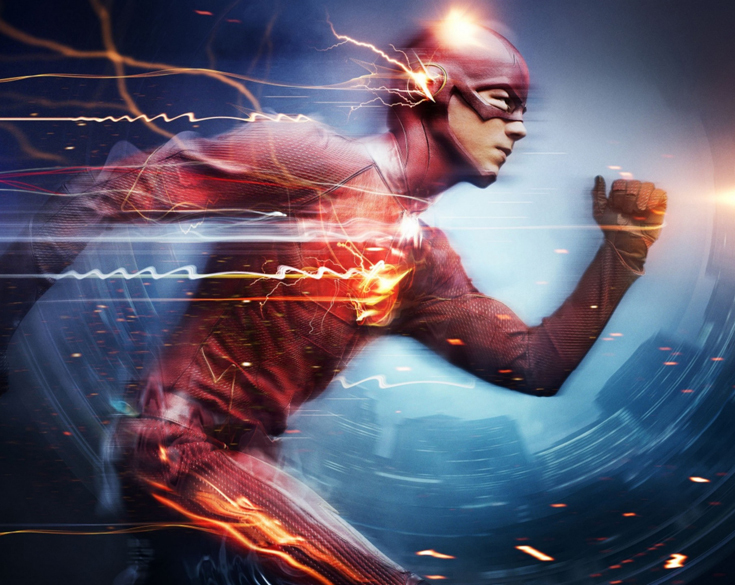 In different superhero TV shows, the Flash is described as being able to run at the speed of light and yet never appears to do that. He often gets tripped up by things that should not stop a man capable of moving, thinking, and reacting at light speed. The Flash's super speed gives him many useful abilities. He heals very quickly, he can read quickly, he has a fast metabolism that prevents him from getting drunk, he can create speed mirages to trick his enemies, he can vibrate his molecules through solid objects (quantum tunneling), he can vibrate poisons out of his body, he can throw lighting, he basically has strength when he does things fast and from a distance, he can create powerful wind tunnels, and perhaps most significantly, he can use his infinite mass punch - which could deliver the mass of a white dwarf star. In certain comic books, he was even able to create solid objects using the speedforce. Wally West, for example once created speed force armor that allowed him to run with a broken leg and allowed him to create his costume. Please note that this is not a power that he is commonly portrayed as having. The Flash also has the ability to travel through time and the ability to travel through different dimensions by vibrating his molecules at a certain speed. In Final Crisis 4, The Flash kissed his wife, who was under the control of the anti-life equation, and she was freed. Theoretically, he can negate the anti-life equation. Although he has been shown to fly from time to time by creating wind tunnels with his arms, he is very limited in the sense that he cannot fly like Superman or Green Lantern. However, considering the fact that he has such a broad range of powers, including the ability to travel into the future and grab technology that could allow him to fly, this is considered to be less of an issue. He has also been able to outrun death itself, aka black flash and has resurrected from the dead in doing so. 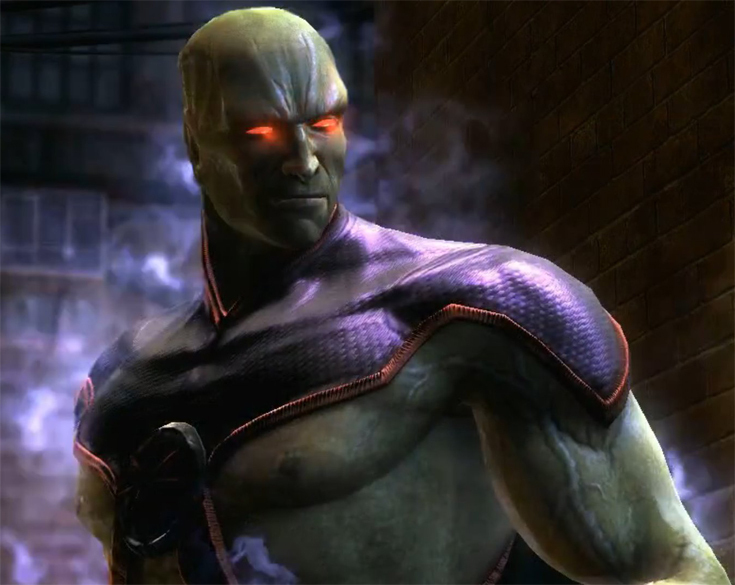 Another way of putting this, is that it is very difficult to beat someone that thinks faster than you (making mind control difficult for his foes such as Grodd), moves faster than you, can throw lightning, can make himself untouchable (quantum tunneling), can throw powerful punches, can hide out in different dimensions, and can create tornadoes. Even if you are able to get close to beating him, he can still travel through time and change things around. It may not always be shown this way in the comics or on TV shows, but based strictly on his powers, we consider him to be the most powerful member of the Justice League. What's up Dear, are you in fact visiting this site daily, if so after that you will definitely obtain nice knowledge. Anyways, I'm definitely happy I discovered it and I'll be bookmarking it and checking back regularly! Appreciation to my father who told me on the topic of this web site, this web site is really amazing. I wonder how so much attempt you set to make the sort of magnificent informative site. from 3 reel, 5 reel and 9 reel machines with paylines ranging from an line to any excess as 20.
look for a way to train dogs, ways to improve personality, how to communicate and etc. free play: https://newtown-casino.com/play-free-game and live poker kuala lumpur: http://jjenney.s14.deinprovider.de/test.php?a%5B%5D=%3Ca+href%3Dhttp%3A%2F%2Fbarcelomaya.online%2F__media__%2Fjs%2Fnetsoltrademark.php%3Fd%3Djoker.vin%252Findex.php%252Fother-games%252Fntc33%252F23-ntc33-2%3Elive+chat+qq+poker+online%3C%2Fa%3E based casino games. chip is in order to a cheese burger without the end up being have belonging to the cheese. are baccarat, blackjack, craps, roulette, slot games and poker. on the person's alternative. Each game has its degree of difficulties and skills. if not, let's revisit step specific. investment. It depends, of course, not only on your skill, but the skills within the other online players. exercise a lot before putting down real cash. Fortunately, there are lots of free poker games what your can deposits your skills without wager.